Weather, moon and water temperatures typically set the scene for spring fishing patterns, but when atypical conditions like this year’s extreme winter backs up the program, the ensuing compaction of prespawn, spawn and post spawn stages can leave you scratching your head. There’s no magic formula and, given the diversity of the nation’s waters, there’s no one-size-fits all approach. Simple answer is you usually have to fish your way into figuring out what a late spring’s opportunities. Along the way, a handful of relevant points can help steer your effort. Although full moons typically fire the starter’s pistol, water temperature is probably the most concrete factor, as the fish simply won’t move up when the water’s too chilly — a lingering problem throughout spring 2018. That being said, sun and wind exposure play huge rolls for spawners, so expect those areas soaking up midday to afternoon sun to pop later in the day. Meanwhile, north banks benefit from warmer southern winds, while avoiding any chill from a northern blow. 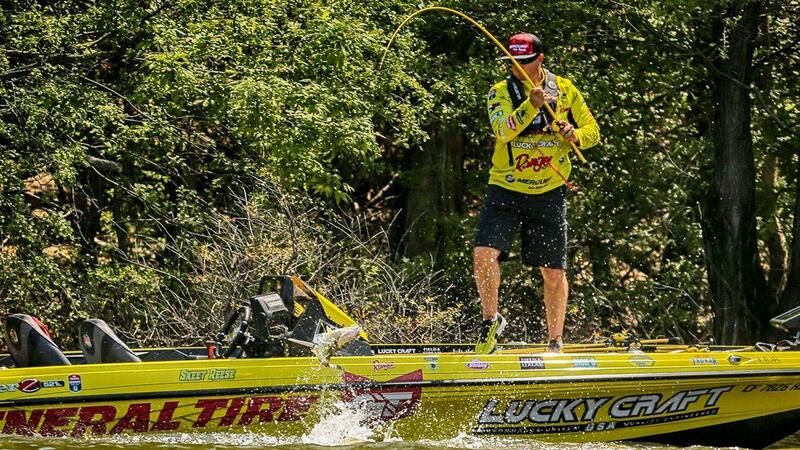 Wesley Strader recently did this on Kentucky Lake en route to his first Bassmaster Elite Series victory. Having figured out that fish were staging in both directions on docks in Big Sandy Creek, the Tennessee pro picked off several keepers with a PH Custom Lures balsa crankbait and a Stan Sloan Bango Blade spinnerbait. A week later, at the Costa FLW Series Western Division event on Clear Lake, seventh-place finisher Vince Hurtado banked much of his event on the mouth of a residential channel lined with multiple types of submerged vegetation. With pre and post spawn fish tarrying in the grassy lounges, he sacked up good limits with a lipless rattle bait, a spinnerbait and a boottail swimbait. In such scenarios, it’s easy to pull away from the door and visit the maternity ward, should conditions become favorable. And if the shallow bite’s not happening, the adjacent two-way street can keep you in the ballgame. 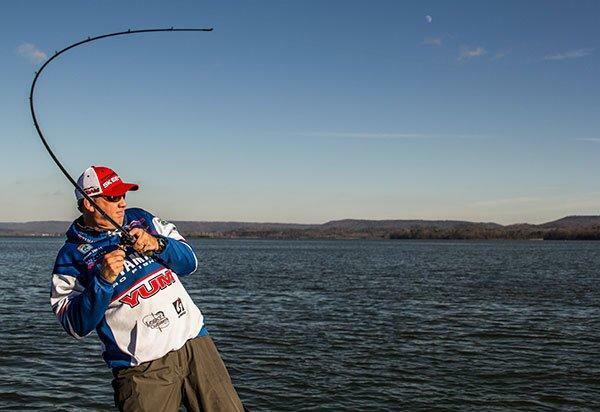 “I try to figure out the stage that will produce the biggest bites; but usually, if there are fish on beds, that’s usually the game I play, because that’s one of my strengths,” said Elite pro Alton Jones. 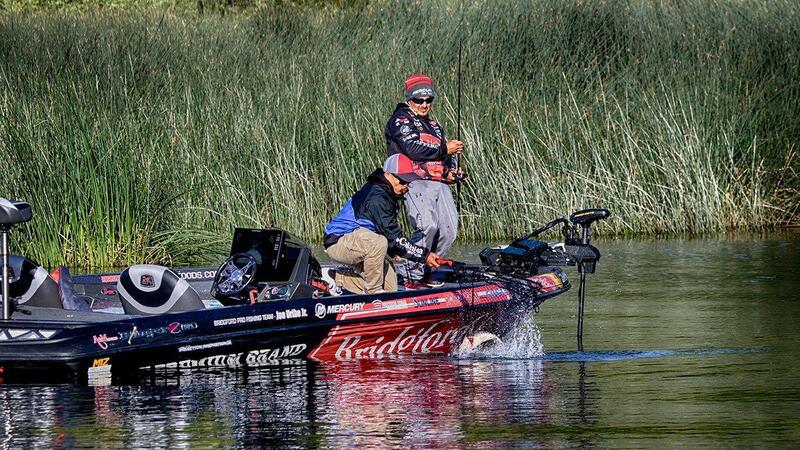 “You have to test the waters on all three, but prespawn and spawn fish are going to weigh more than post spawn. 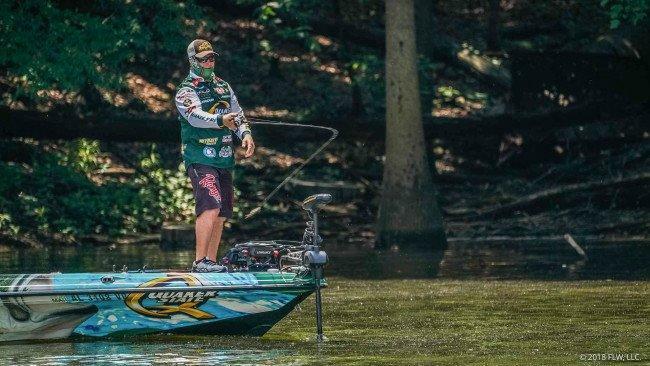 FLW Tour pro Scott Canterbury’s also a big fan of post spawners, as long as the fish are far enough removed from the spawn that they’ve regained their vigor. He definitely appreciates the opportunity to sight fish, but as the season progresses, he expects a tightening window. Fish leaving the beds often spend several days just lounging in the shade of bluffs, docks, trees, etc. The bream also relating to such areas become a big part of the diet during these periods, so mind your colors on those swim jigs, bladed jigs, etc. Chartreuse tips on green pumpkin trailers, blacks, blues, purples; maybe a touch of orange in the main color scheme — that’s what gets bit by post spawners more interested in a couple big meals a day than chasing lots of little shad. Before and after spawning, bass feel the urge to feed heavily. On the front end, they need to store up calories that’ll last them through a strenuous period, while after the fact, regaining lost weight is critical to survival. As Canterbury notes, nature provides ready made opportunities through the reproductive cycles of primary forage species. Shad Spawns: Usually lasting only an hour or so after sunup, thousands of baitfish frantically flickering around docks, grass, seawalls and flooded bushes offers easy pickings. This is straight-up reaction bait fishing, so keep a mix of topwaters, squarebills, spinnerbaits, swimbaits, bladed jigs and underspins handy. A good shad spawn bite can fill your limit in a hurry, but it can just as easily deliver heartbreak. Just ask Joe Uribe Jr., who enjoyed two days of raging shad spawn action until big winds the night of day two pushed the bait and the bass off his spot. What had been a turkey shoot, became a ghost town on the final morning. Bream Beds: More consistent than shad spawns, bedding bream are one of the top targets for post spawners. When the panfish start packing into shallow spawning grounds, the honeycomb look of clustered beds is unmistakable to anglers, while the vulnerable appearances of distracted meals is irresistible to opportunistic bass. 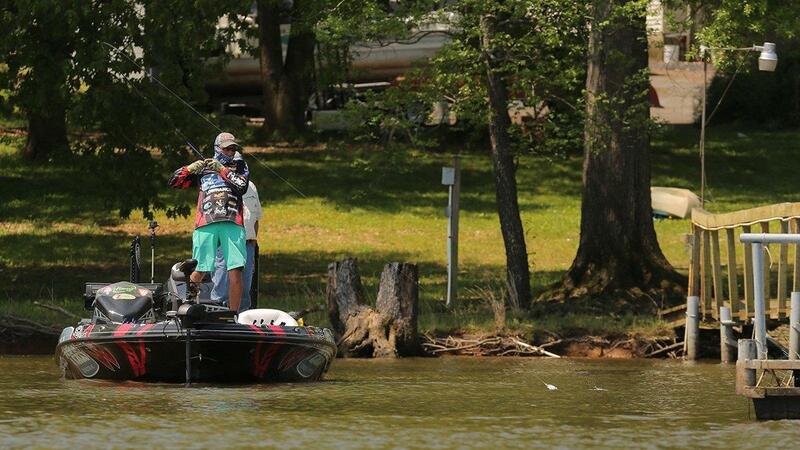 “What comes to mind here, is this is the one time of year you can throw a topwater all day, regardless of weather conditions,” Jones said. Frogs, big walkers like a Zara Spook, poppers and prop baits — all will earn you big-time bites when bass target bream beds. Jones likes a barred pattern for mimicking young bluegill, but he won’t hesitate to dress up a plain sided bait with a permanent marker. If you’re a one-rod kinda angler, you’ll miss out on a lot this time of year, especially in a compacted spawning season. Truth is, the junk fishing mentality goes a long way when you literally are fishing what’s in front of you. You’ll have a mess on the deck, that’s the price of admission, but it’s worth the ride.